So another trailer for Batman V Superman: Dawn of Justice was released last week and as a fan of superhero movies in general, I’d like to share my thoughts about it and the apparent direction that DC is going with the Batman V Superman film. While the trailer is available for public consumption, I know that there are people who want to go into the theater with as little information as possible so be warned – there might be some minor spoilers here. There’s always room for Black Widow, even in an article discussing a DC movie. Batman and Superman are quite different from each other, and the way the trailer illustrated this in just a few quick scenes was perfect. Both are heroes, but in very different ways: Batman deals with criminals, Superman saves people. Batman can’t do much against an erupting volcano threatening an entire city, and Superman can’t do much against an underground criminal organization. Batman uses his persona to strike fear in the hearts of criminals, Superman gives hope to the powerless. It’s almost night and day, and seeing this explored in the film is what I’m looking forward to the most. Why is Clark Kent going after Batman? I like how the first trailer showed why Bruce Wayne thinks poorly of Superman, given what happened to Metropolis in Man of Steel. But what is Clark’s beef against Gotham’s vigilante? Clark disagrees with Batman’s methods? I hope the film has a better setup for this conflict. Lex Luthor is probably going to have a big role in setting the two heroes against each other, but I find it more believable for Batman to go after Superman on his own simply because of what happened in Man of Steel. Ben Affleck seems like he’s going to be a good Batman. When Affleck was cast as Bruce Wayne/Batman there was quite an uproar, but I thought Affleck could pull it off. I’ll have to watch the film to see if he does a good job as Bruce Wayne though. I loved both Michael Keaton’s and Christian Bale’s versions of Bruce Wayne, playing him as a guy who pretends to be an incompetent billionaire to throw off suspicion, and I hope to see something similar with Affleck’s portrayal. The winged creatures in the trailer and Parademons from the comic books. What is going on in that desert scene? Batman in the desert fighting off what looks like soldiers with “S” patches? Winged creatures? Is DC giving us a preview of Apokolips? Is the DC cinematic universe going to have Darkseid as a villain somewhere down the road, with Superman under his control? Those winged creatures look awfully like Parademons to me. The actual fight between Batman and Superman looks like it’s going to be really good. And it should be – after all, the title of this film is Batman V Superman, right? I’m expecting this fight to take longer and to top all the other hero vs hero fights that we’ve seen thus far. I liked him in Zombieland but I’m still not digging Jesse Eisenberg as Lex Luthor. I’m still not sold on Jesse Eisenberg as Lex Luthor. Nothing against the guy, but his take on the character is just not working for me. I’m not necessarily a purist and I’m relatively open to change but I’m just having trouble swallowing this version of Luthor that these trailers have been showing us so far. I heard that this is supposed to be Lex Luthor Jr., which means there could be a Lex Luthor Sr. in this universe but I don’t know if that’s true. I can see some similarities between this monster and General Zod. That looks like Doomsday, and I hope it isn’t. Doomsday is a popular Superman villain and is surely going to be a draw, but the character deserves to be the main villain in a movie. Heck, Superman died trying to stop Doomsday! Based solely from the trailer, it looks like DC is going to use Doomsday for the name recognition and as a common enemy that could get Batman and Superman to resolve their differences AND get Wonder Woman to come out into the public. I really hope that this isn’t Doomsday – the character has too much story potential to have such a minor part. If this really is Doomsday, well… There’s so much I can say about this topic that I can probably devote an entire article for this so I’ll keep it short and sweet by noting a similar example of how this can go wrong: Venom in Spider-Man 3. Venom was shoehorned in and I can’t recall anybody who liked how his character was handled. In fact, Venom’s inclusion was commonly noted as one of the flaws of Spider-Man 3. Doomsday is a pretty simple character, but he deserves more than just being an accessory for Lex Luthor. Gal Gadot as Wonder Woman? Works for me! 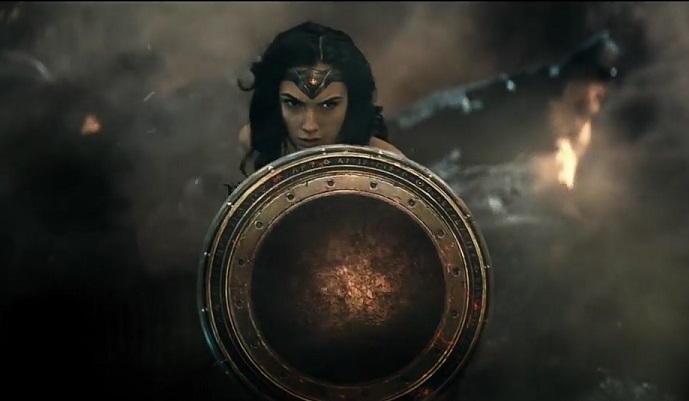 I hope Wonder Woman is more fleshed out than what the trailer is indicating. It looks like Wonder Woman is going to come out of nowhere and I guess the character is popular enough that DC can get away with doing this, but the character deserves more than just “hey here’s our most popular female character, here she is before Captain Marvel hits the big screen” treatment. Gal Gadot looks amazing as Wonder Woman and I want the Wonder Woman film to succeed so I’m hoping to see the character done justice in this movie. This trailer showed too much. A lot of people have already said that this trailer basically outlined how the actual movie would turn out – Superman and Batman not seeing eye to eye, Lex gets involved and the two heroes come to blows, then team up with Wonder Woman to overcome a common enemy in this Doomsday-like villain. If Batman V Superman: Dawn of Justice plays out exactly like this, then this trailer just made the film very predictable. Even my bias towards Marvel can’t stop me from admitting that seeing these three in one film is awesome. With all that said, I like a lot of things about the Batman V Superman: Dawn of Justice film and I’m seeing some things that I may end up disliking. But I’m not seeing anything that would really ruin the film for most moviegoers – I think the film has a lot of good stuff about it that should satisfy anyone who goes to see this, but there are a few possible flaws that may prevent this film from reaching the levels that The Dark Knight and The Avengers achieved. Batman V Superman: Dawn of Justice is likely to rake in tons of money though, regardless of what critics end up saying about the film after it comes out, so I’d say the DC cinematic universe is safe. Have you seen the latest Batman V Superman: Dawn of Justice trailer? Are you still interested in catching the film when it comes out? Let us know what you think by leaving a comment or two below!